The box office results for the period August 15 to 19, 2012 are finally out! This was the time when 5 new films opened in Philippines, 2 of which are local films: "Just One Summer" under GMA Films and "The Reunion" under Star Cinema. 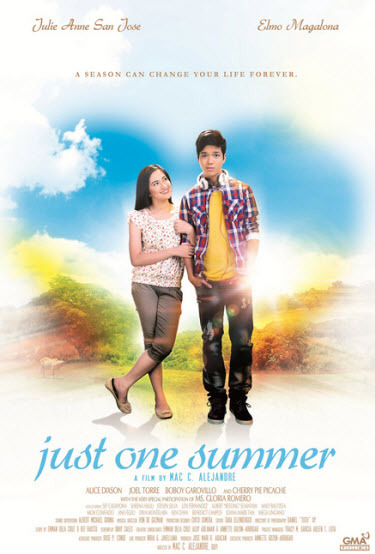 'Just One Summer' stars JuliElmo (Julie Anne San Jose and Elmo Magalona) while 'The Reunion' stars Enchong Dee, Xian Lim, Enrique Gil and Kean Cipriano. And I'm sure you guys are most excited to know which between these two films grossed higher or which one flopped in the box-office? 'The Reunion' grossed P31.21-million on its first 5 days, while 'Just One Summer' (flop?) only grossed 5 times lower, a miserable P6.16-million, according to figures released at BoxOfficeMojo.com. However, neither of these two films have topped the Philippine box-office. It's still Hollywood's "The Bourne Legacy" which collected P49.95-million for its 2nd weekend in the country, and now has a total gross earnings of P168.53-million to become the 4th highest-grossing film in the Philippines for 2012. Among new releases, it's "The Expendables 2" who ruled, pulling in a total of P40.63-million. Meanwhile, Star Cinema's "The Healing", which starred Vilma Santos and Kim Chiu, has finally reached the 100-million-peso mark after 4 weeks in theaters. It's only the 3rd Filipino film to achieve so this 2012, after "Unofficially Yours" with a final gross of P157.25-million and "Kimmy Dora and the Temple of Kiyeme" with P133.96-million. Figures for the next weekend, August 22-26, have also been released. 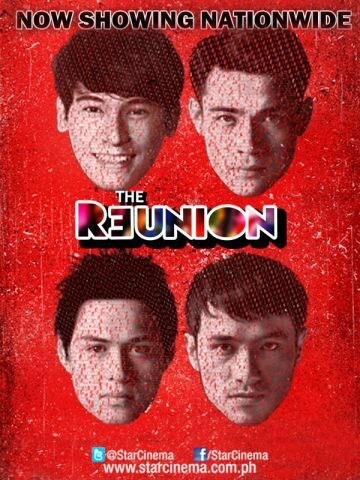 "The Reunion" already earned P55.6-million in 12 days, while no more earnings have been reported for "Just One Summer" after earning just P6.2M in 5 days. hahaha! Nasan na ang mga julie-elmo fans jan? Ang kapal pa nila, may pa- "NOW ON ITS SECOND WEEK" pa silang press release yun pala now on its second week sa 5 sinehan lang sa metro manila. Mga feelingero't feelingrang sikat kasi. No.1 pala sa itunes ha? Kawawang babalina! Ang sakit naman ng comments mo! Ngayon alam ko na...THE TRUTH REALLY HURTS..tama ka mga feeling sikat kasi mga KANGUSO bwahahaha! ayan! Kita na ang resulta ng trying hard fans. .lol trying hard sa pagpapatrend sa twitter. Ang gma na laging number 1 sa agb ratings e laging flop ang movies, albums at konting commercial lang ang artista nila?lol san ang principle of logic jan? Ndi rin directly proportional. Naging inversely proportional ang situation.hahaha.